Cover Artwork: Foreground (l to r): Mamie Casserly, Mary Jo Casserly (daughter of Mamie), Philomena Murphy (daughter of Mary Jo), Louise Murphy (buggy, daughter of Philomena); Background: Katie Murphy (daughter of Louise Murphy). 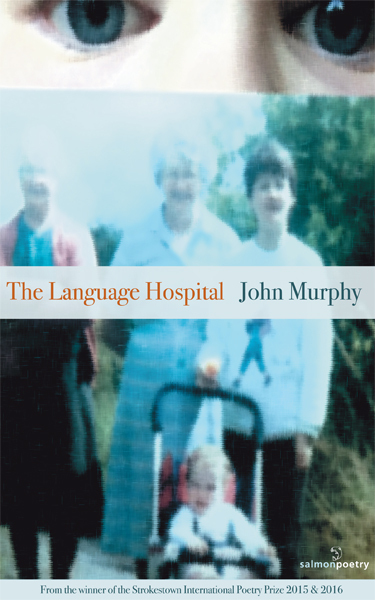 The poems in John Murphy’s second collection, The Language Hospital, resonate with a hard-won understanding of the complexities and difficulties of 21st century living. What is it like for a man to grieve and miss his children? To tell a story, and say something meaningful about the importance of storytelling? To love a language you barely speak? An eight year old writes his first poem, writes a second poem thirty years later, then finally, after fifteen years of writing, makes a chiasmus of the creation of the two. A conversation between a young man and a man sixty years his senior takes place over several hours – one question, one answer, and a wait for a final, timeless gesture. John Murphy is never satisfied with the obvious; and even as he tests the limits of form and language we are always reassured by the power and subtlety of his control over rhythm, image and sound. His poems are compelling, by turns delicate, challenging, comforting, and sometimes devastating. The Language Hospital truly is a rare and sensual delight for the reader. John Murphy lives and works in Dublin. He was shortlisted three times for the Hennessy/Sunday Tribune New Irish Writing prize. His debut collection, The Book of Water was published by Salmon in 2012, and was well received. He has been shortlisted four times for the Bridport Prize (prizewinner, 2013), and specially commended in the Patrick Kavanagh Award. He won the Strokestown International Poetry Prize in 2015. In 2016, he was a finalist in UK National Poetry Competition. He won the Strokestown International Poetry Prize for a second time in 2016. He was educated at Trinity College where he received his Ph.D in 1994. 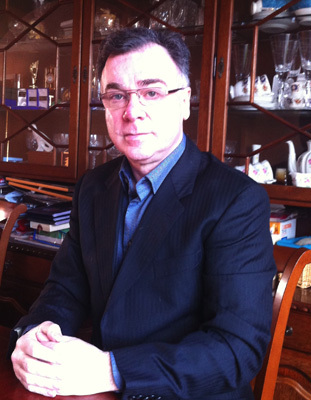 He has worked as a computer scientist in industry (IBM) and in academia (DCU) for more than thirty years.